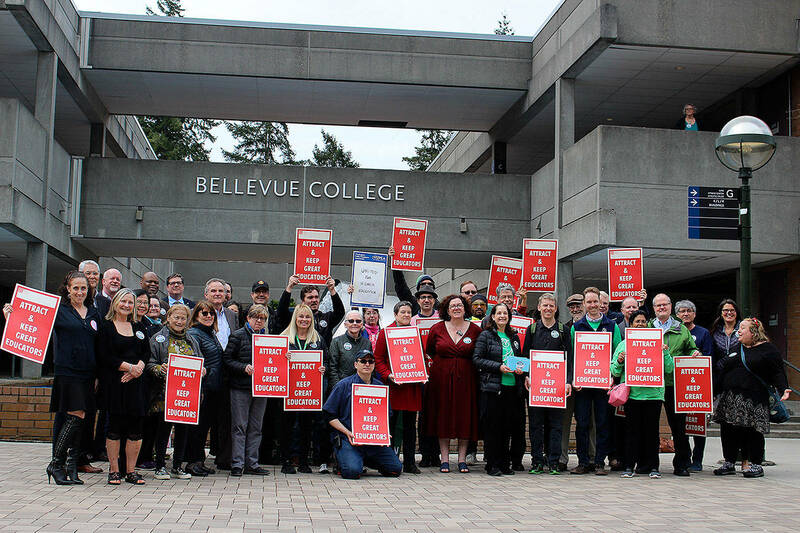 Nursing students choosing to continue their studies beyond the associate degree level now have an improved pathway at Bellevue College (BC) that ensures their credits transfer easily to Washington state four-year nursing schools. The Associate Degree in Nursing Direct Transfer Agreement/Major Ready Pathway (DTA/MRP) creates a smoother path for students who want to earn a Bachelor of Science in Nursing (BSN) degree. Bellevue College students will enroll in the Associate in Nursing DTA program starting this fall. A coalition of state agencies led the initiative to streamline the credit transfer process including the Washington State Council of Presidents, Washington State Board for Community and Technical Colleges, Independent Colleges of Washington and Washington Student Achievement Council, and Washington Center for Nursing. Students in Bellevue College’s Associate Degree in Nursing (ADN) program will still be able to apply for their Registered Nurse (RN) licensure after graduation. “The important thing is that our nursing students have choices to continue a nursing education rather than barriers,” said Beltz.